The next OnePlus smartphone is expected to be called the OnePlus 5, the company is apparently said to be skipping the 4 name on the handset, the current device is the OnePlus 3. 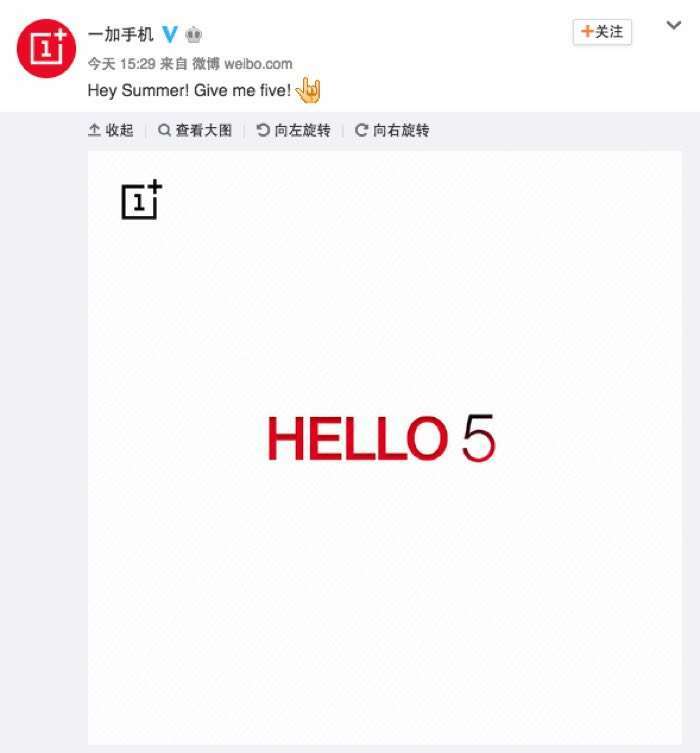 Now it looks like the name for the OnePlus 5 has been confirmed by the company on Weibo, OnePlus posted a picture on Weibo with the words ‘Hello 5″ and the tag line ‘Hey Summer!, Give me five!’. This pretty much confirms that the next generation OnePlus handset will be called the OnePlus 5 and that the handset will go on sale some time in the summer. The handset is expected to get a number of upgrades over the current model, these will include a 5.5 inch Quad HD display with a 2560 x 1440 pixel resolution and a new Qualcomm Snapdragon 835 processor. 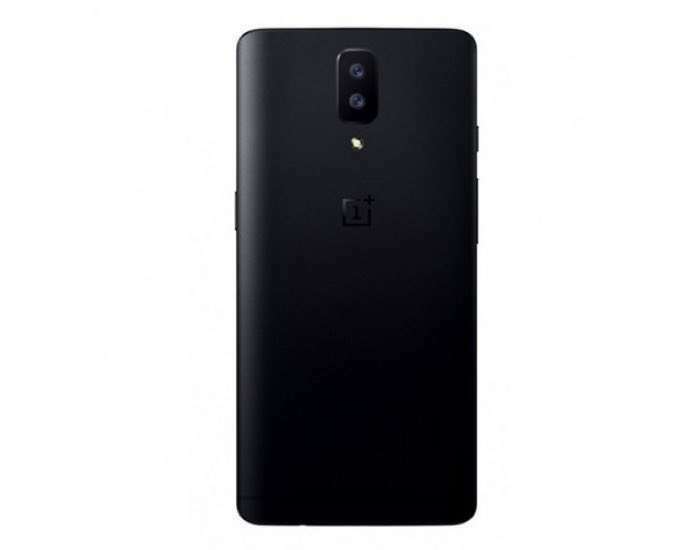 The handset will apparently come with 6GB of RAM and two storage sizes, 64GB and 128GB, there are also different rumors about what cameras the handset will feature. Earlier we heard that the device may actually come with a dual front facing Selfie camera and a single rear camera with a dual LED flash. Previous rumors have suggested that there would be dual rear cameras on the handset. As soon as we get some more details about the new OnePlus 5 handset, including a launch date and confirmation of the camera setup, we will let you guys know.